When President Donald Trump declared in May that he was withdrawing from the Iran nuclear deal, he vowed to reimpose some of “the strongest sanctions that we’ve ever put on a country.” Among the biggest targets: Iran’s booming oil fields, an economic engine that fuels Europe and Asia with 4 million barrels of crude a day. But as Tehran and other world leaders recoiled, one country celebrated: Russia. The reason? Supply and demand. The new sanctions will likely remove a million barrels of Iranian oil a day from world markets once the restrictions fully kick in this fall, and few are in a better position to reap the benefits of the resulting price surge than the Kremlin. 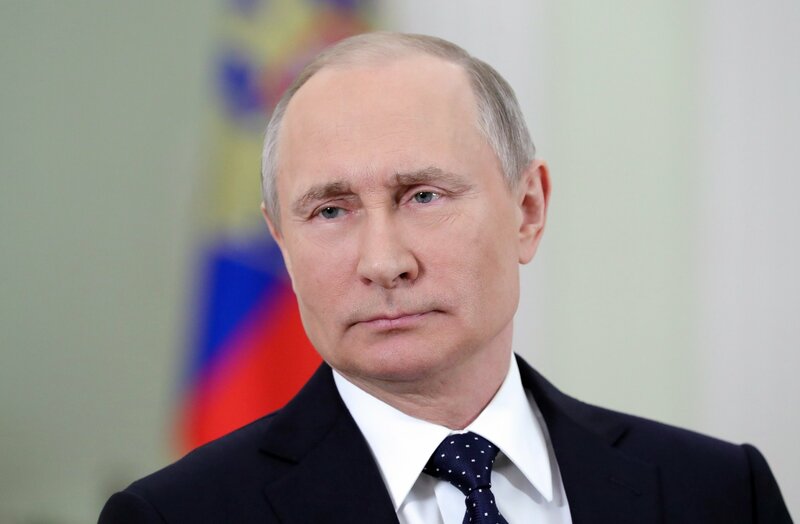 Russia is the world’s biggest energy exporter, but for the past four years, sagging oil prices have severely hurt the country’s economy, leading to budget deficits and austerity plans. Trump’s actions could reverse that. For Russian President Vladimir Putin, the oil rally represents a new political lifeline. In March, as he took his fourth oath of office in the gilded St. George Hall of the Grand Kremlin Palace, he promised the assembled political elite that Russians would “create our own agenda for ­development so that no obstacles and circumstances interfere as we and only we determine our own future.” But behind the scenes, Putin was rapidly burning through the country’s $125 billion reserve fund to cope with a punishing economic storm. Since the U.S. first imposed sanctions on Russia in 2014 for annexing Crimea and sponsoring separatist rebels in Ukraine, the ruble has lost nearly half of its value, inflation has hit double digits, and many Russian business moguls have been cut off from international financing. Falling international oil prices—crashing from more than $110 a barrel to just $30 between March and June 2014—contributed to a fiscal crunch; oil and natural gas make up about 50 percent of Russia’s exports. To offset those losses and maintain military and social spending, Putin tapped the reserves the Kremlin had set aside during boom times. But by January, Russia’s Finance Ministry announced that the cupboard was bare: The Reserve Fund, down to just $17 billion, was being closed down. The Kremlin even drew up plans for an unpopular overhaul of the pension system that would raise the retirement age from 55 for women and 60 for men to 65 for everyone. U.S. policies, analysts say, are setting the stage for a sustained rally. News of the reimposed Iran sanctions sent tensions soaring in the Middle East, a region that holds 47 percent of the world’s oil reserves. In South America, Venezuela, another key oil producer, is also reeling. In late May, Washington announced restrictions on Venezuela’s oil companies in response to a widely condemned presidential election, with tighter sanctions likely to follow. That will take even more crude off international markets. 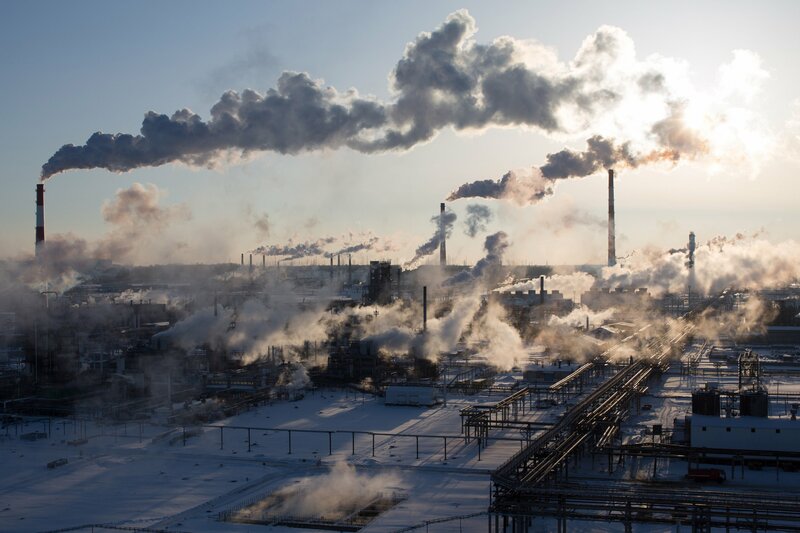 For Russia, soaring oil markets are not without risk. The country is dependent on crude, but higher prices suddenly spark investments in more efficient and cheaper electric engines and batteries. Moreover, they give a boost to the Russian oil industry’s biggest strategic nemesis: U.S. shale gas production. An oil price “in the $50 to $55 range…suits Russia’s best interests,” says Chris Weafer of the London-based consultancy ­Macro Advisory. In other words, high enough to balance the Kremlin’s budget but not so high that it jeopardizes the long-term future of oil by juicing alternative sources and technologies. Indeed, fear of another runaway, shale-fueling boom-and-bust cycle is why Russia, paradoxically, opposed Trump’s plans to scrap the Iran nuclear deal. Foreign Minister Sergey Lavrov accused Washington of “trampling international law” in backing out of the deal. Another reason: A slew of Russian investments in Iran’s oil industry—including majority stakes in projects across Iran’s untapped natural gas fields and the planning of pipeline corridors from Iran to Syria and onward to Europe—could be compromised. But with oil at $80 a barrel, the immediate future looks bright: Russia will earn some $10 billion more per month than it needs to balance the federal budget. Goldman Sachs has forecast economic growth of 3.3 percent for 2018, outstripping both the European Union and the U.S. And inflation has dropped to just 2 percent in this year’s first quarter, despite new rounds of U.S. sanctions intended to punish the Kremlin for meddling in America’s last presidential election.